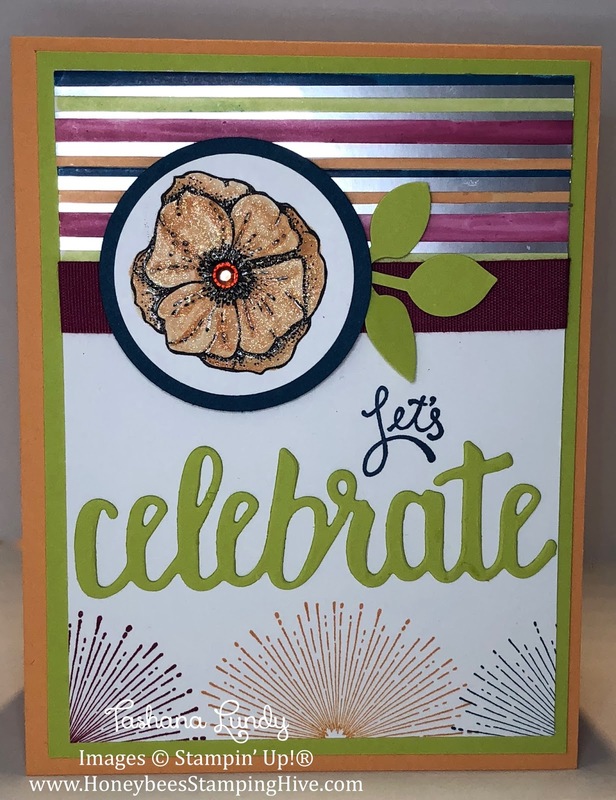 Today's card was inspired by a birthday invite I was asked to make for a friend. I used some retired stamps on her invites, so I decided to remake the card with SAB items. I colored the Springtime Foil SDSP with Stampin' Blends. The flower was also colored using Blends...then Wink of Stella. I added some Fine-Tip Glue to the veins of flower. This card is so sparkly in person.